Inkfish: Which Ancient Megafauna Did We Wipe Out? If things had turned out differently in past millennia, modern-day animal lovers wouldn't have to fly to Kenya to go on safari. North America was once overrun with tourism-worthy animals: Aside from the iconic woolly mammoth, there were saber-toothed cats, giant sloths, and short-faced bears more than twice as massive as a grizzly. We're still not sure what happened to them, but a new study in Nature attempts to untangle the whodunnit. Since dozens of these "megafauna" species disappeared from the Americas, Eurasia and Australia just as humans were arriving, it's tempting to blame ourselves. The human love of the mixed grill, after all, runs deep. But the mass extinction, beginning around 50,000 years ago, coincided with another key event: the end of the last ice age and shift to a warmer climate. So controversy over what killed off the ancient megafauna has persisted. To tackle the large-scale, globe-spanning question, a large and globe-spanning team of researchers decided to take it species by species. Even though the animals went extinct around the same time, they might have been individually done in by different factors. The researchers looked at ancient animal remains and human remains from around the world, as well as DNA samples from the megafauna. The genetic material told them about each species' diversity over time (species with more genetic diversity are better able to adapt to changing environments), and the overlap of human and animal remains showed when and where we coexisted. Woolly rhinoceros: Not our fault. 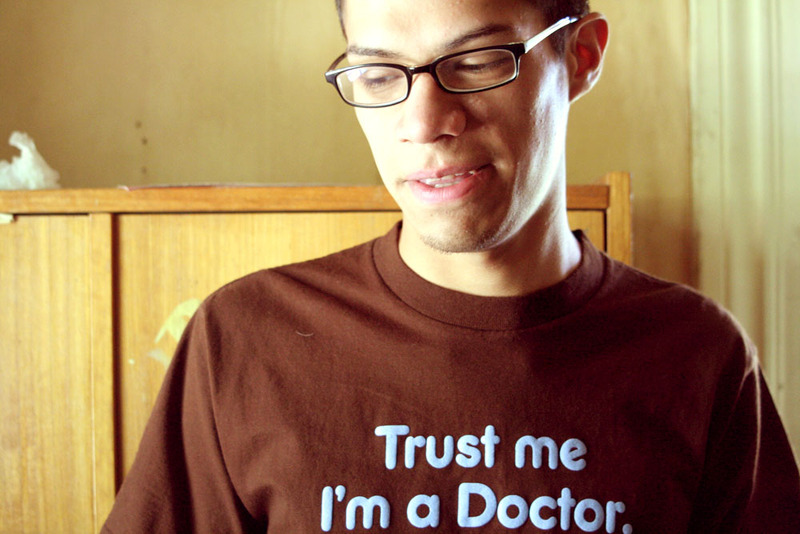 The study focused on just six animals. All of them were herbivores living in North America or Eurasia, and some of them have living members today but inhabit a greatly reduced range. The woolly rhinoceros, pictured above, used to live in Eurasia but is now extinct. The researchers found that the woolly rhino's population size was actually increasing well after the species came in contact with humans, and there's no evidence that we commonly preyed on (or even came in contact with) the rhino. This would seem to vindicate us--it was probably the warming climate, not humans, that wiped out the woolly rhinoceros. 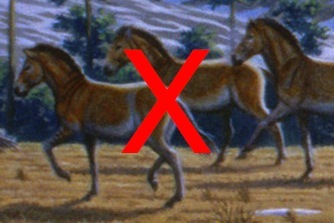 The wild horse or tarpan, Equus ferus, is also extinct today (and not to be confused with wild populations of domestic horses). The species maintained a large Eurasian population well into the warming period, suggesting that climate change wasn't what ultimately killed it. The overlap between wild horse and human populations, as well as the abundance of wild horse remains at human archeological sites, hints that we may have hunted the species to death. 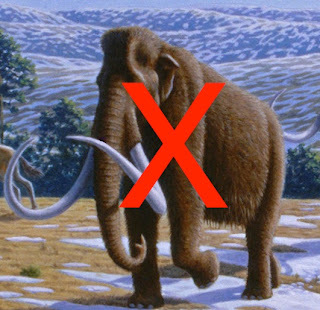 As for the poor mammoth, the data are disappointingly unclear. Our ranges overlapped in both Eurasia and North America, and ancient North Americans are known to have hunted the mammoth. But the mammoth's population in Eurasia, like the woolly rhino's, was still increasing after it came in contact with humans, and its range may have begun to shrink as the weather warmed. It could have been either culprit that ultimately killed the mammoth, or a fatal combination of human hunting and climate change together. That fatal combination is what makes this sort of research--the cold cases of paleontology, if you will--urgent today. We're again experiencing warming, though it's happening much, much faster than in the age of the mammoths. Simultaneously, we're pushing species out of their habitats or poaching them into extinction. The authors of the new study didn't find any one feature, such as a genetic signature or a distinct pattern of distribution, that predicted which animals lived and which died. That means we're no closer to guessing which of today's species will survive climate change and human involvement--like the reindeer, which lived through the extinction of its fellow megafauna and thrives today--and which will go the way of the mammoth. 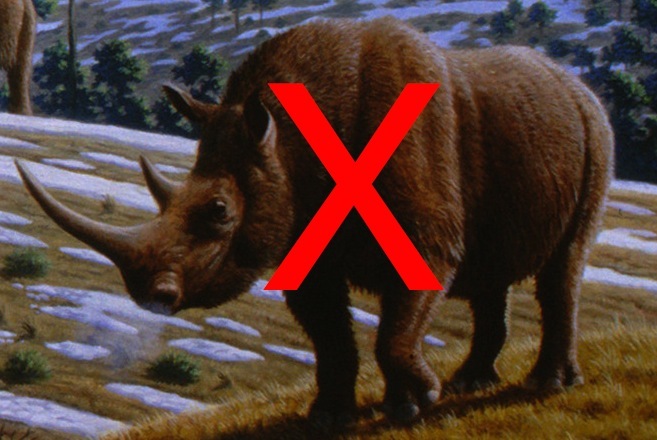 If the climate of the Holocene (our time) was really the reason for the extinction of the wooly rhino, why did it survive the warm Eemian climate optimum (ca. 120.000 years ago), during which even hippos reached england?